Meet Akanya! She is a two and a half year old kitty owned by Erin who works as one of Friendship’s Client Care Technicians. Erin has graciously volunteered to let Akayna be my guinea pig in testing out Hill’s new Healthy Weight Protocol and corresponding Metabolic Diet. Akayna has come a long way from the streets of Botswana where Erin rescued her while serving the in Peace Corps. She is now a fat (literally) and very happy housecat who needs to shed a few pounds. As I’m sure most cat owners know this is no easy task and unfortunately this is the most common recommendation I make to owners during annual exams. Click here to read my post about the obesity epidemic cats. 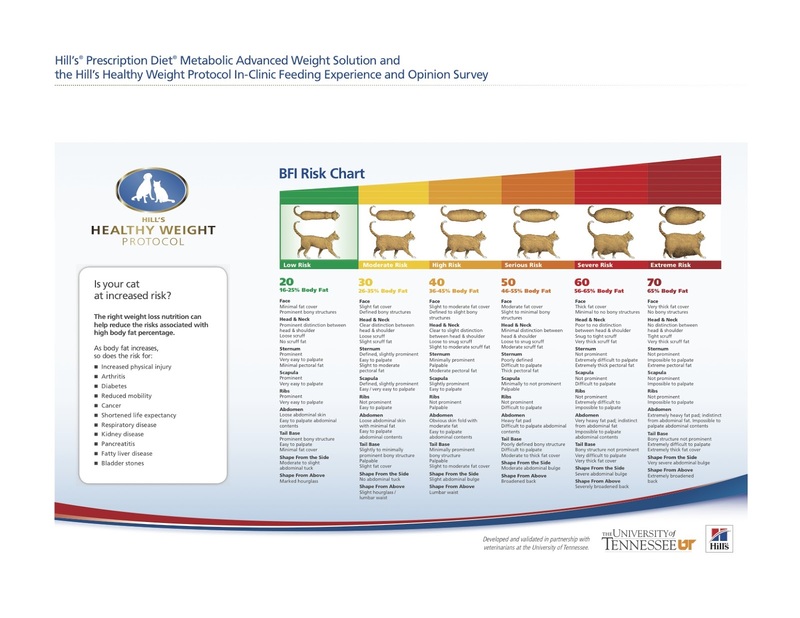 Hill’s has teamed up with the University of Tennessee to create a better system to estimate body fat in overweight animals. They found that if we could more accurately determine how much a pet was overweight then we could devise a more precise feeding plan that would results in more effective weight loss. Erin brought Akayna to Friendship so that I could take a few measurements and get a baseline weight. We then entered this information into a computer program and found out that at 12.4 pounds she had a body fat index of 47.5% and was in the “serious risk” category. Her ideal body weight was given as 8.1 pounds. Armed with this information we then calculated she should eat one-quarter cup and one half of a can of Hill’s new Metabolic prescription diet every day. This is the newest of Hill’s diets that was formulated using nutrigenomics to affect gene expression working with the animal’s metabolism for more effective weight loss. I am so excited to track Akayna’s progress! Obesity is something that so many pet owners struggle with and it is one of the few concrete things we can address to ensure our pets live a long and healthy life. Let me know if you are interested in joining us on this weight loss endeavor!